We are a privately owned Dental Practice in the South Bay Area. Our philosophy is simple; prevention before restoration. Healthy teeth can stay healthy and strong through timely and regular checkups and good oral hygiene habits. Dr. Yousef firmly believes in educating patients to care for their oral health, especially at very young age. 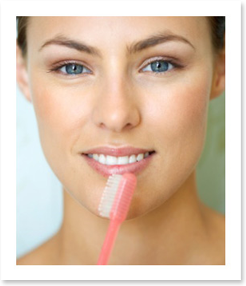 The health and beauty of your teeth and gums are of utmost importance to her. We offer a full range of dental services to our patients. Please check out our services tab for the list. We look forward to knowing you, as friends as well as patients. This website has been designed to provide you with as much information as you need about today's high-tech Dental Services, be it, preventative, restorative or cosmetic needs. We understand the recent economic woos and its consequences pertaining to your oral health. We accept most PPO insurances and we’ll make a treatment plan for you that fits your oral health needs and provide options to suit all budgets. We offer deep discounts for our cash patients as well as flexible financing plans to make your check book as comfortable as your oral treatment. At Hana Family Dental we strive to provide quality dental care for our patients. It is through your valuable feedback that we can raise the quality of our service. We appreciate comments and suggestions pertaining to every aspect of your experience with us from the ease of making appointments, office location, office comfort, our bed-side manner, various treatment options and especially our web site. Does our website provide you with ample knowledge of our services? Please give us your feedback to help us serve your dental needs better. fors ome useful links from Metlife Insurance Co.
Great denture work for my 82-year-old gums…S.